The recent Ebola and Zika virus outbreaks have highlighted the pressing need for early warning systems to prevent the spread of infectious diseases. i-sense is a 5-year EPSRC-funded research programme, combining self-reported symptoms on the web with mobile phone-connected diagnostic tests for rapid detection of disease outbreaks. Following an initial focus on influenza, HIV and bacterial infections in the UK, the team has discovered the impact their technologies can have on HIV and Ebola in Africa. A new collaboration on HIV with the Africa Centre for Population Health (South Africa) began when Prof Deenan Pillay, the Deputy Director at i-sense, moved to work there. Researchers from i-sense and the UCL Bartlett Centre for Advanced Spatial Analysis (CASA) created a digital dashboard that shows, in real-time, whether HIV-infected participants’ are linked to antiretroviral therapy services. The dashboard masks the location of individual participants on the map to safeguard their identity but still enables the identification of areas where further support is needed. Following a trial of 24,000 patients with the Africa Centre, the ideas are now being used to build the first online NHS HIV self-testing patient pathway, an example of ‘reverse innovation’. The team have also repurposed their influenza technology to Ebola using paper microfluidic tests (similar to pregnancy tests) and a mobile phone app linked to a smartphone camera. This project was initiated by PhD student Polina Brangel in Prof Molly Stevens team at Imperial College London, and in collaboration with Prof Rachel McKendry’s team at UCL. A paper is currently being written up. Building public trust in the technologies and having strong data security is vital. The team are working with computer scientists, behavioural scientists, ethicists and a wide range of potential users at the beginning of technology development to address these challenges. These projects are at an early-stage but demonstrate the potential of the technologies to be rapidly adapted and transferred to combat new diseases anywhere in the world. The i-sense team is extremely interdisciplinary ranging from physicists to philosophers across five universities, industry, clinical and public health partners. To help the team ‘speak the same language’ and work well together they created an Education Alliance which regularly arranges lectures and workshops to grow the skills of their students and researchers. Prof McKendry is keen to see future dedicated ‘themed’ fellowships or Chairs that support these transdisciplinary approaches to tackle infectious diseases. 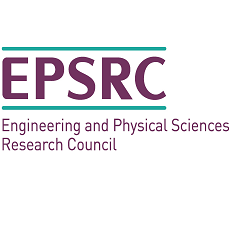 The flexible funding from EPSRC was really important, enabling the team to deliver core projects, exploratory research and to build long term partnerships. This has enabled them to fund joint positions with the Africa Centre and they plan to create short-term Mobility Fellowships to build an international network of excellence. They hope to build on these partnerships to conduct more work on neglected tropical diseases. The i-sense team includes Rosanna Peeling, from the London School for Hygiene and Tropical Medicine, who is creating a blueprint of what an ideal early warning technology would look like, to set the goalposts for the engineers and physical scientists. This is enabling the team to select or reject technologies much more rapidly. Find out more about the i-sense project.